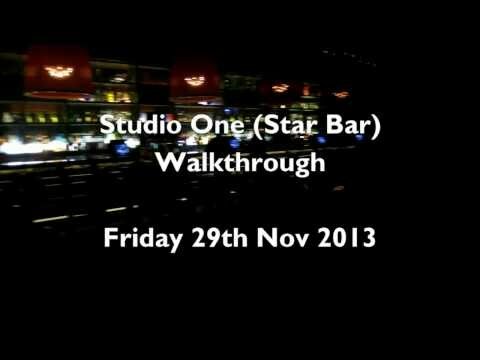 There was a low point in my clubbing career that we frequented Star Bar all the time. The humidity, the seedy crowd, the sticky floors, the fights.. it was all a bit too much for us and Marty and I exercised a 1 year self imposed ban on Star Bar.. this in turn helped me discover better nightclubs in Sydney. – As you walk up the stairs the huge central dome seating area is gone. There is more seating in its place but it flows better. – The dance floor is purposely been made sunken (via the trickery of raising the rest of the seating areas) so there is a proper segregation of the dancing area from the seating areas. – A new, third, bar has been created on the top floor. I think it’s a definite improvement but at the same time it is shedding its image of being a free club to go to, with upcoming events promising cover charge / cover fee to enter. You will still be able to access the ground level for (I’m guessing) cheap drinks, but the upper club that is Studio One will be a separate money-making entity. The stratagem will likely push away the tight arses / backpackers to other free entry clubs nearby such as Cheers/80 Proof, 3 Wise Monkeys, Bar Century, Shark Hotel etc nearby.